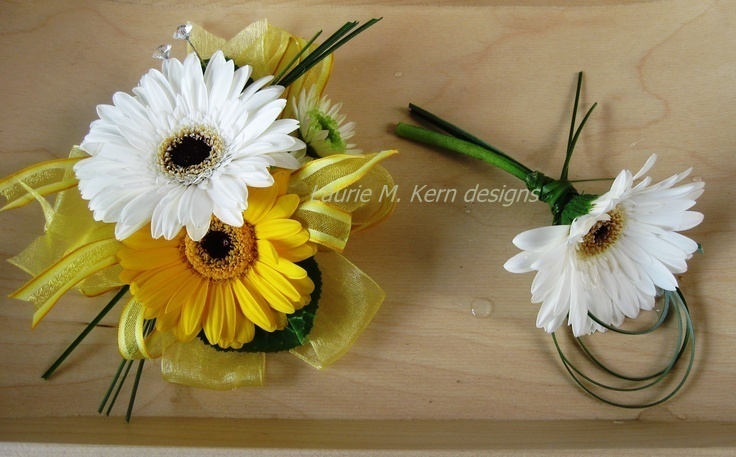 Adorn yourself and the wedding party in fresh flowers. 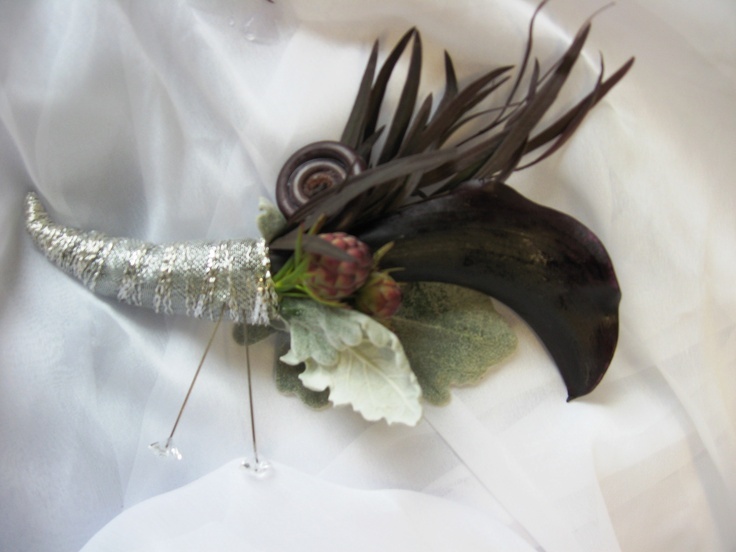 Every wedding package gets custom made corsages and boutonniere's. My work is light weight with no old school wire or tape. I charge less than anybody for them because I am not on the clock, and really enjoy making them! Flower girl head garlands, ring boy treasure box, flower-girl baskets, fairy balls, floral purses..if you can imagine it, I'll create it. All the flowers worn in the wedding party coordinate together. Here are several style sets so you get an idea of ways they can be accessorized. 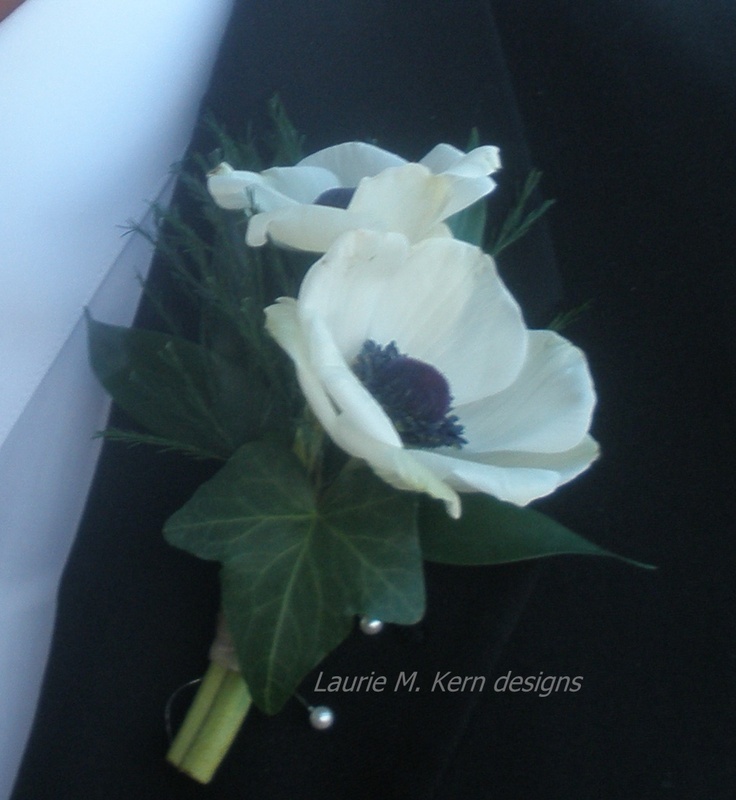 I still like to pin on every bout and corsage during the 2 hour set-up (included for free in every in-town wedding over $500) This new look in Flowers to Wear is from John Henry. 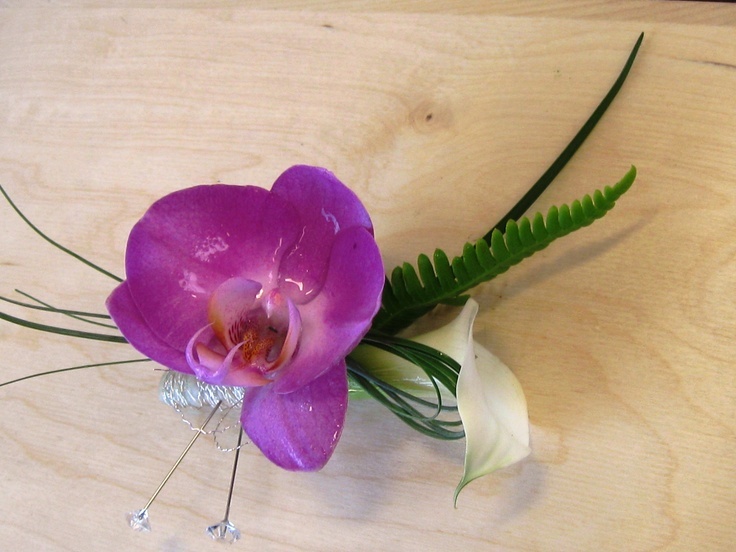 A normal starting price is about $20 for a boutonniere. I design these for you for only $10 per bout. 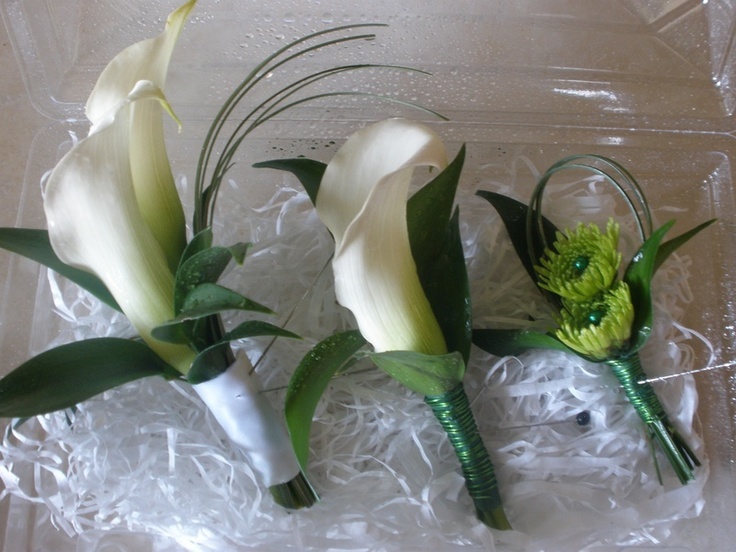 It is an exciting trend because it pairs the high style of decorative sisal wire, beads and even bling with the natural stems of the flowers showing.. No tapping and wiring and damaging the flower, talk about fresh! 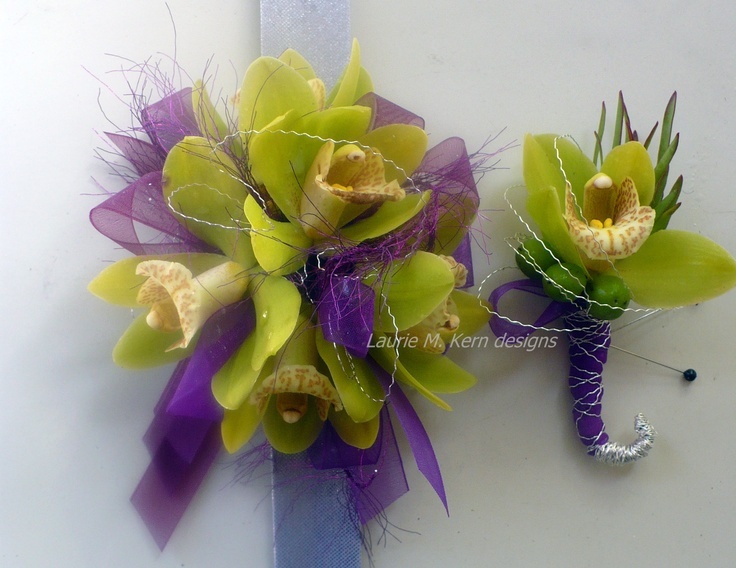 Notice the ribbon or wire wraps on the open stems. 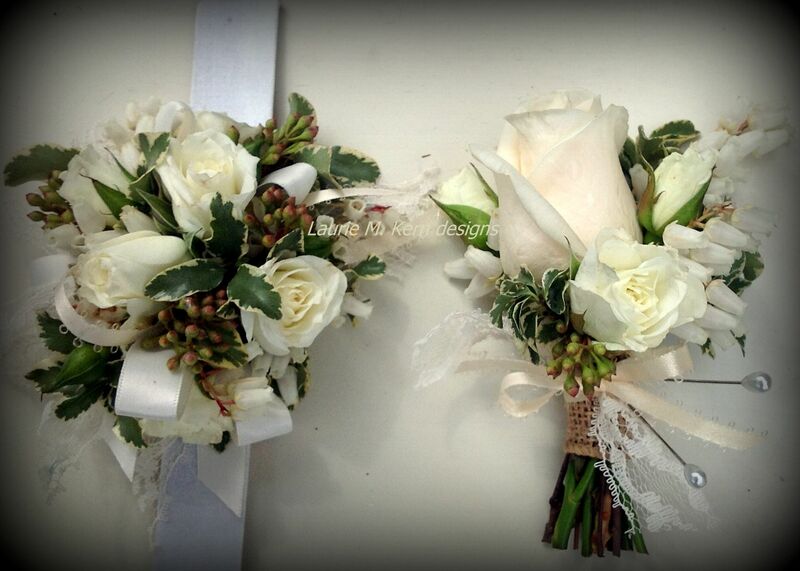 More sets for the wedding party or family..
For those who need more for less, 1O Boutonnieres, all done the same, with one rose, cost only $7 each, when you use the full package deal. Of course, the Groom's will stand apart. 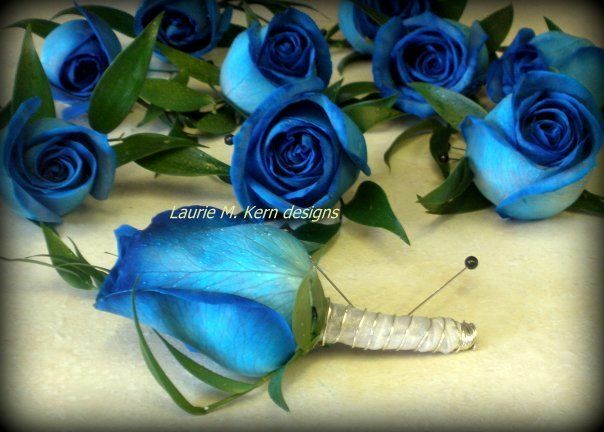 No up charging for blue roses, if whole wedding is with blue roses. And don't forget the impact of a procession of children will have in your wedding. Little boys like to carry the "treasure" as the Ring Bearer. This flower pillow is entirely made in flowers with pearl centers. 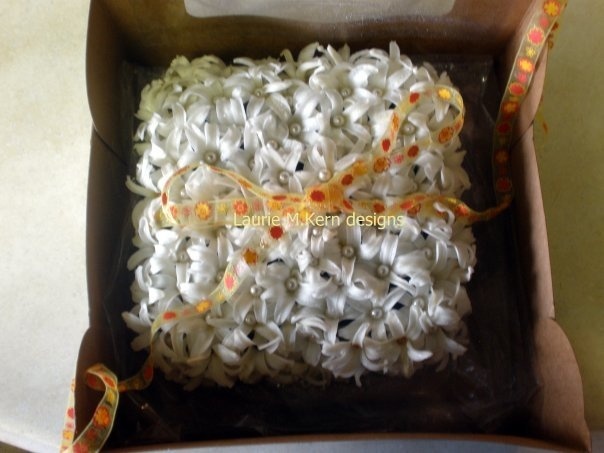 It is shown in its box but was carried just like a flower pillow. $49 with entire wedding.